Macbeth is a very bloody play. Shakespeare’s bloody imagery, including the vision of blood-spattered characters, enables him to create an atmosphere of horror and violence. 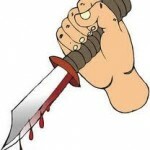 Blood also symbolises guilt within the play. Towards the end of the play, the blood-soaked imagery conveys the idea of Scotland suffering under the tyranny of Macbeth’s rule. 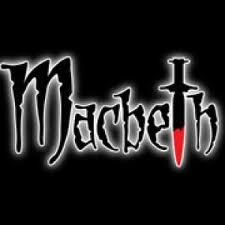 The violence of the world of Macbeth is established with the entrance of the bleeding captain (Act 1 Scene 2). 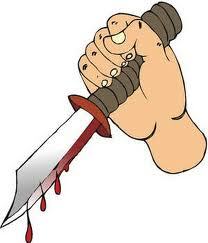 We soon hear of Macbeth’s gory action in the battle: how his sword “smoked with bloody execution” as he “carved out his passage” through enemy soldiers. When Macbeth finally reaches Macdonwald, he “unseamed him from the nave to the chaps / and fixed his head upon [the] battlements.’ The characters’ admiration of such violence clearly establishes Scotland at this time as a violent and bloody place. With a new academic year just beginning, it is time to get reading again. This month, the whole college community is being encouraged to read the same book at the same time. We hope to see staff, students, parents and past pupils sharing the enjoyment of a good book. 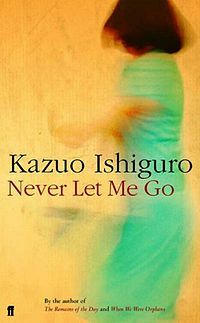 For September 2012 the book is ‘Never Let Me Go’ by Kazuo Ishiguro. This dystopian novel was short-listed for the Booker Prize in 2005 and charts the relationship between Ruth, Tommy and Kathy. We first meet these friends when they are at Hailsham boarding school and we see how their time there affects the rest of their lives. This novel may prove to be quite a challenge to some junior students but there is plenty in it to keep the interest of seniors. It deals with the difficult topic of bullying and it also has a science fiction element. As always, post a comment here to let us know your thoughts on the book. Tragedy is a form of drama that deals with human suffering. Generally speaking, tragedy portrays a hero who flourishes at the beginning of story, but then, because of a tragic act, faces a reversal of fortune. The tragic hero encounters great suffering and hardship in the drama but because of this develops greater awareness about himself or the world. A tragedy often concludes with the hero’s demise.